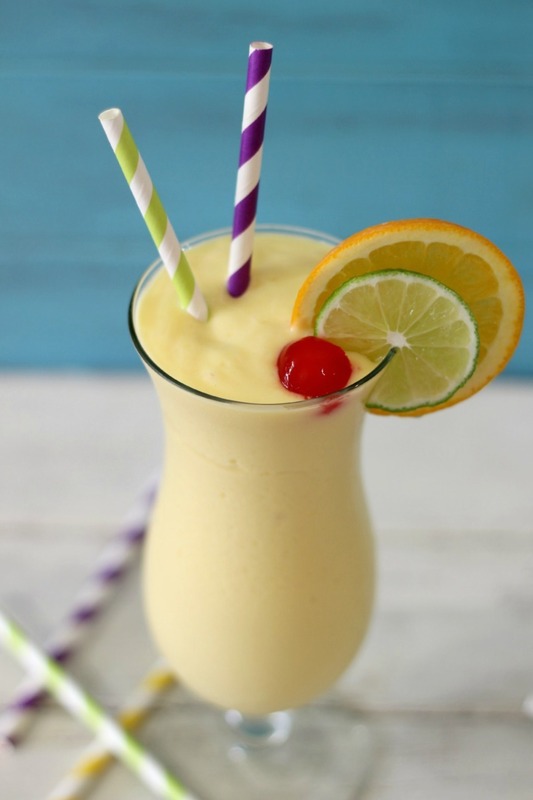 Hi Everyone and Happy Smoothie Monday! To celebrate Mardi Gras tomorrow, I thought I would make one of their famous drinks, the Hurricane, but in a healthy smoothie form. Have you every had a Hurricane? It is mighty delish! 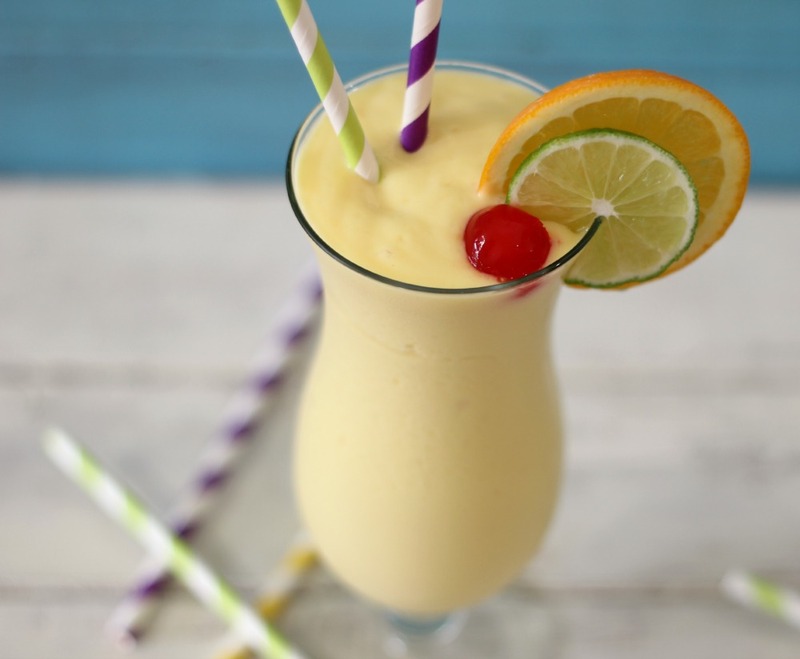 It’s made with pineapple, orange juice, rum and grenadine syrup. Yum, yum, yum! I am sure you already have a pretty good idea what is in my smoothie and boy is a good one! 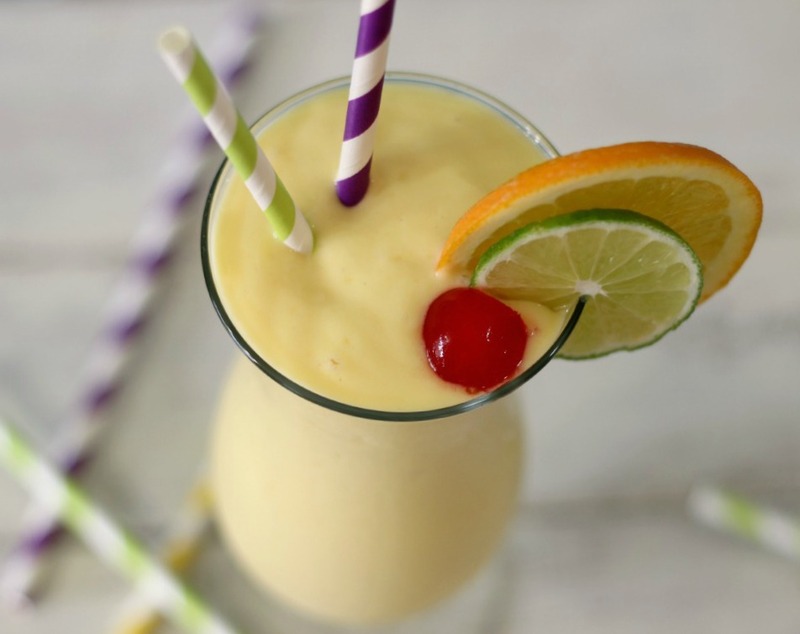 The smoothie turned out light, fruity, sweet, tropical and oh so amazing!! 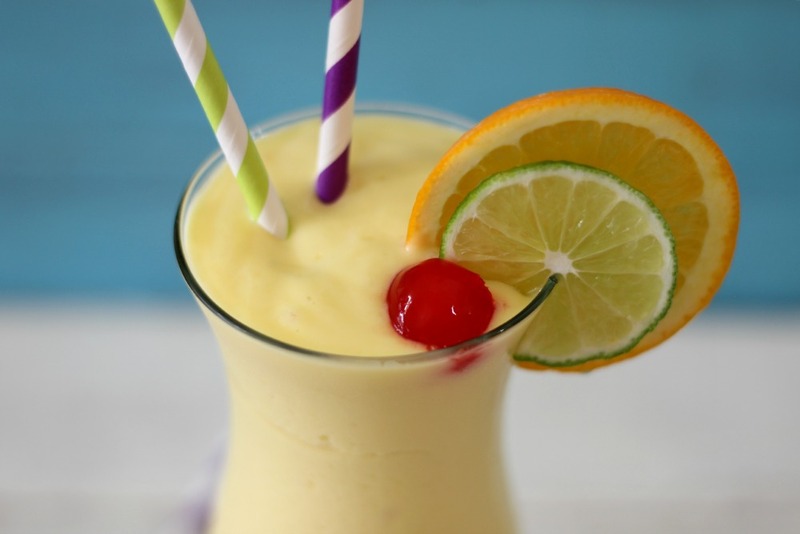 I love the flavors of orange and pineapple together and the lime juice balances it all out! My Husband was very pleased with his Saturday 10am smoothie! Every Saturday like clock work, are you making a smoothie today. But whats weird, I ask him if he wants one for work and he always says no. Hmmmm? But on the weekends, it smoothie time!! Odd man! I thought I would dress up the smoothie by adding a little slice of orange and lime and of course a maraschino cherry! Love those cherries! I thought I would put an umbrella in the drink, but then I realized this is Mardi Gras, not Cinco de Mayo! You know whats funny? I like to dunk my cherries in my drink and let it sink to the bottom. Then when my drink is done I have a little cherry surprise left. I know crazy, huh? I am a tad odd. 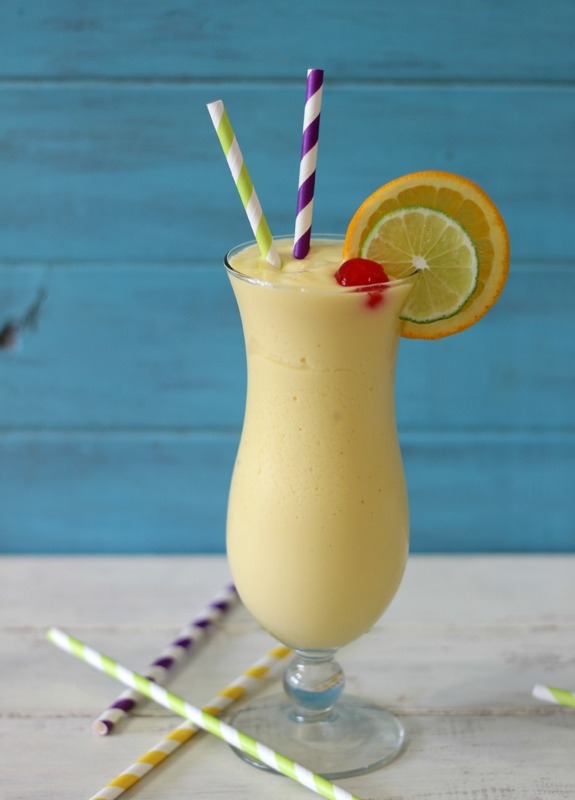 A light, healthy smoothie made after the famous Southern drink , the Hurricane. 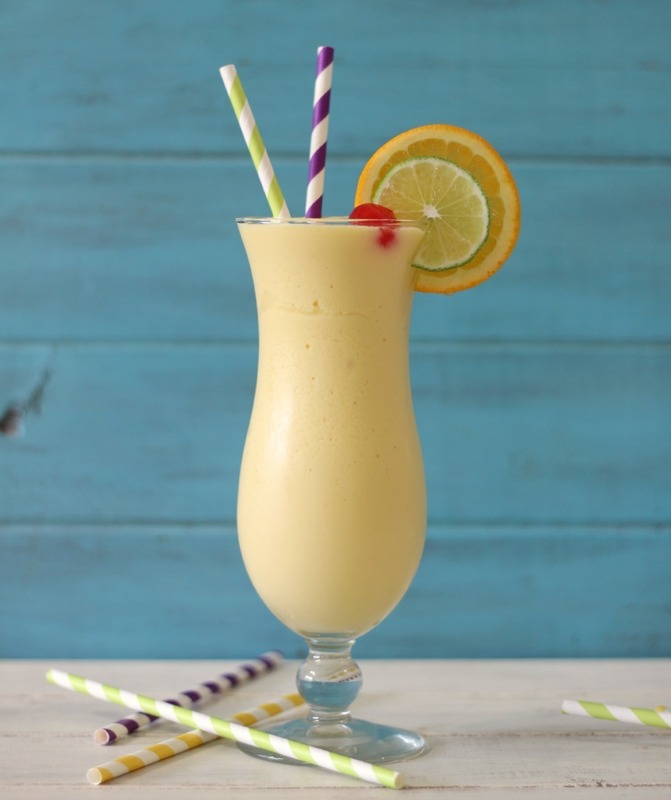 It's made with pineapple, oranges, lime, greek yogurt and rum extract! Well my Friends, I have exercise, blogging and recipe creating to do! So I am out of here!! What an absolutely beautiful smoothie! I think I’m in love! My husband and I love New Orleans, and of course we love hurricanes! Love the idea of it in smoothie form!! Pineapple on my grocery list. Pinned so I won’t forget. Can I use reglar yogurt instead of greek?